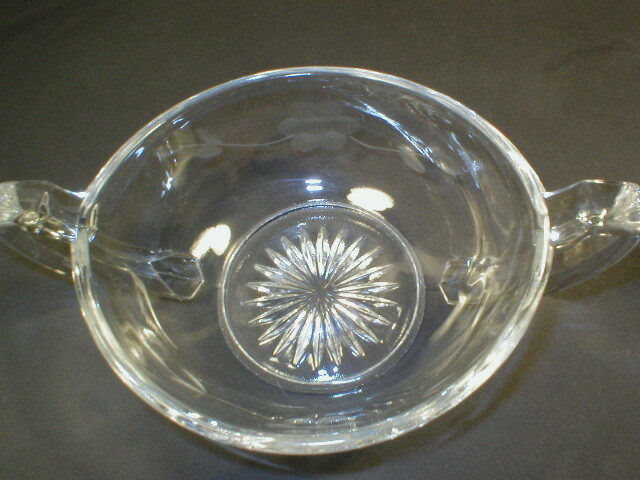 This is a pretty little pickle dish with a cut flower design and two handles. 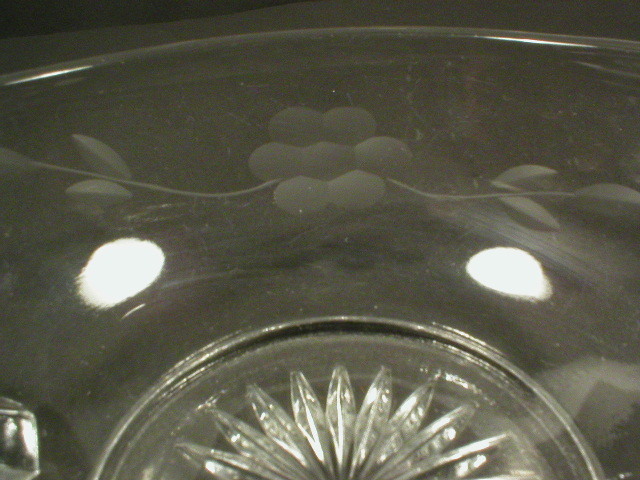 I believe this is made by Imperial Glass as these handles are what looks like one of Imperial's designs. Measures 2" high, not including the tops of the handles which would make it 2.25" high. 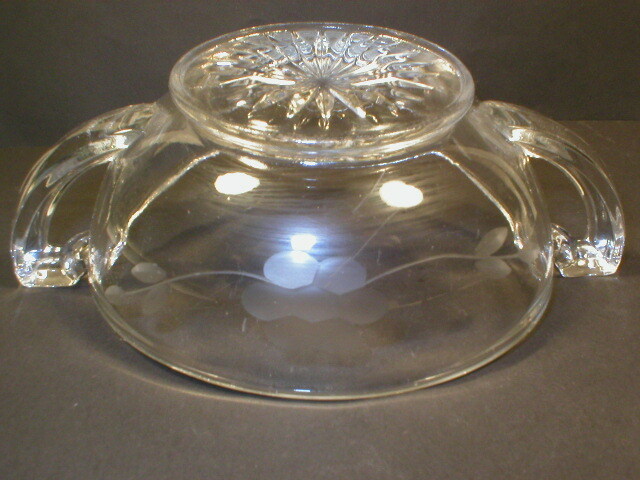 Diameter is 4.5" across without handles, with handles measures 6.75" across. Excellent condition with no chips or cracks. Slight scratches from use but these do not detract in any way. Has a pretty cut flower design on both sides and a rayed bottom. Grecian style handles. An absolute beautiful piece to dress up your elegant table setting! 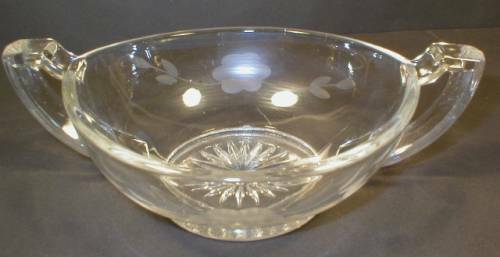 Items Similar To "Nice Flower Cut Imperial Glass Pickle Dish "